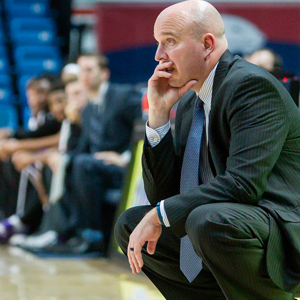 MOBILE, AL – Matthew Graves will not be returning next season as the head coach of the South Alabama Jaguars’ men’s basketball team. The news came Thursday afternoon after the team fell to Troy in the first round of the Sun Belt Conference Tournament on Wednesday. Athletic Director Joel Erdmann joined Randy and Creg on Sports Drive Thursday to discuss the news. In his time at the helm of South Alabama’s basketball program, Graves posted a 65-96 overall record. The Jaguars finished 14-18 for the second straight year. Since Graves took over, the Jags have only won two games in the Sun Belt Conference Tournament and never finished a season with a winning record. According to Erdmann, the University of South Alabama is conducting a nationwide search for a new head coach starting immediately. For more, you can listen to the full interview below and tune into Sports Drive weekday afternoons from 3 p.m. to 6 p.m.